The Mick Price-trained Grunt heads the market for the Group One Underwood Stakes at Caulfield. Last-start winner Grunt has already been well supported in a bid to add to his Group One tally in the Underwood Stakes at Caulfield. The Mick Price-trained four-year-old opened the $4.60 equal favourite with the Darren Weir-trained Humidor when nominations closed on Monday. He has since firmed to be the $4 top pick ahead of Humidor at $4.60 with the Charlie Appleby-trained Godolphin horse Blair House next at $6. A total of 21 horses, including 12 Group One winners, have been nominated for the 1800m weight-for-age race on Sunday. 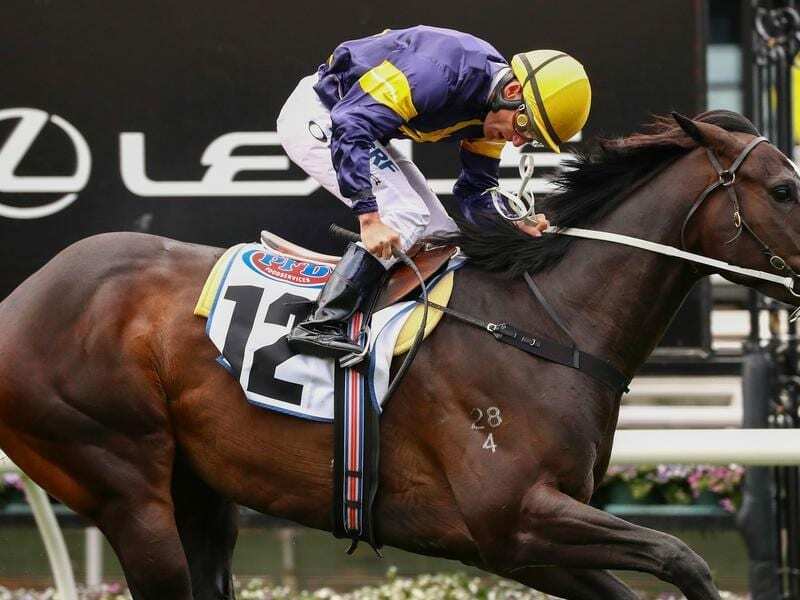 Grunt returned to winning form in the Group One Makybe Diva Stakes on September 15 at Flemington where he won the Australian Guineas in the autumn. Connections decided after the Makybe Diva victory, Grunt would head to the Cox Plate at Moonee Valley on October 27 rather than follow a Caulfield and Melbourne Cups path. Leading Sydney trainer Chris Waller has entered four horses – Comin’ Through, D’Argento, Egg Tart and Unforgotten – with Comin’ Through and Egg Tart also nominated for the Hill Stakes at Randwick on Saturday and D’Argento and Unforgotten likely to run in the Epsom. Liam Howley has the Lloyd and Nick Williams-owned Homesman, Sir Isaac Newton and The Taj Mahal nominated for both the Underwood and the Hill Stakes while Weir has also entered Black Heart Bart and Tosen Basil. Last year’s winner Bonneval is set to return while others that hold dual nominations for the Hill Stakes are Ambitious and Prized Icon.